If you visit the Denver Mint, you might meet a millionaire. But this millionaire isn’t a person, and it’s not a coin, either. It’s an object you might use every day in school or as an application on your phone or computer. 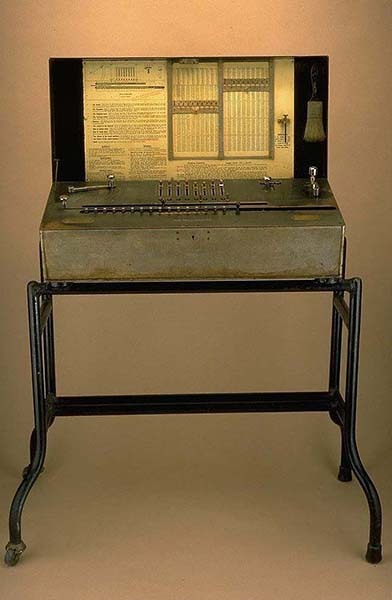 The Millionaire Calculating Machine is a unique piece of history you can visit at the Denver Mint. Long before calculators were simply part of your smartphone, they were large, clunky, expensive objects with limited functions. The Millionaire was used at the Denver Mint in the early 1900s to calculate deposits of gold and silver. Otto Steiger invented this machine in 1895. His goal was to make a calculating machine that would multiply a number by a single digit directly, with only a single turn of a crank. 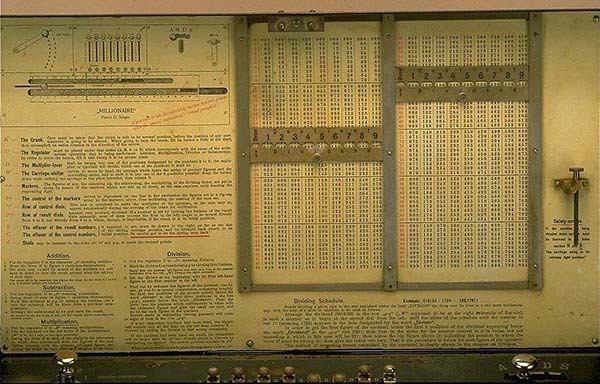 The calculator was the first machine that could perform direct multiplication using a series of gears, levers and switches. Only 4,655 of these machines were produced and sold between 1893 and 1935, making them extremely rare today. 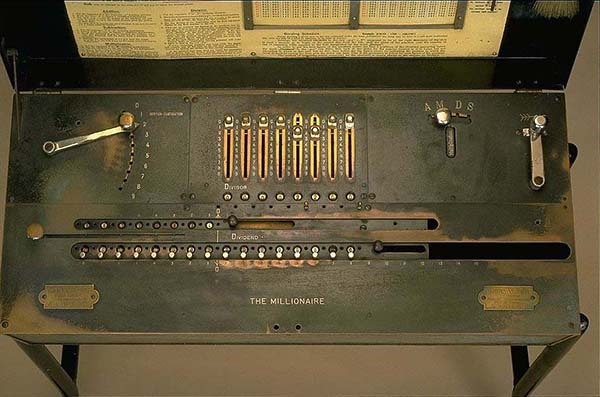 Although the calculator weighed 72 pounds, it could not be surpassed for its rapid and reliable multiplication until fully-automatic rotary calculators became available in the mid to late 1930s. The eight German silver levers are pulled forward to enter numbers. To the left of these is a crank which may be set anywhere between 0 and 9 for direct multiplication and division. To the right of the digit levers is a lever which may be set at addition, multiplication, division, or subtraction. Right of it is the operating crank. In front of the levers is a row of eight windows that indicate the number set on the levers. This row of windows is labeled “divisor”. In front of this is the carriage, with two other rows of windows. The row closest to the levers (further from the front) indicates the multiplier or quotient, and the other row, the result or the dividend. The result windows are labeled “dividend”. They may be set with a dividend using thumbscrews. Zeroing knobs for both these registers are on the carriage. Between the digit windows for all three registers are holes for decimal markers. A total of two decimal markers survive. Between the front two registers, at the left, is a button used to shift the carriage. Instructions for operating the machine, and related tables, are given on a paper sheet on the inside of the lid. The lid also holds a brush for cleaning the machine and a safety screw. A bell rings when the sign of the result changes (as in over division).